Get kids giggling with the first book in the Hiccup's Hiccups series. 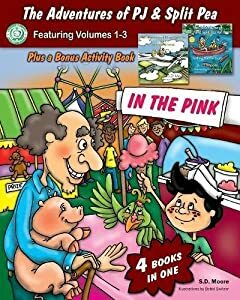 A humorous, adventure story of friendship, acceptance, and compassion. 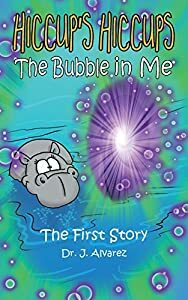 The series was written with the intention of teaching children to embrace their differences and to cultivate the values of empathy and kindness. With shorter chapters, bigger print, and a few illustrations, these hilarious chapter books, meant for kids ages 6-9, will entice and enrapture even the most reluctant readers. 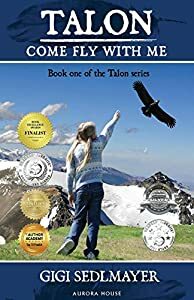 Talon Come Fly with Me by Gigi Sedlmayer is an inspirational,engaging and thoughtful must read story. It follows the story of alittle nine year old girl whose parents are missionaries in the smallvillage of Pucara, Peru. Matica, finds making friends with the localkids to be difficult. Matica has a condition that has hindered hergrowth, so she is extremely small like that of a two year old. The local Indians and villagers, don't understand her and are leery andmistrustful of her. Then Matica comes upon two condors, a male and afemale. She is able to win their trust and begins to mysteriouslycommunicate with them. Her adventure has begun. The condor's egg isstolen by poachers and Matica and her father set out to rescue it, andthey are successful. With the condor's approval, Matica takes care ofthe precious egg. When the egg hatches,Matica becomes a substitutemother to the baby condor and names it,Talon. The local's observe thesuccess Matica has had with the condors,and they begin to warm up toher. Eventually, tiny Matica, becomes a well-liked, admired andrespected part of the community. Talon, Come Fly with Me by Gigi Sedlmayer is filled with warmth and inspiration. It is a touching story about anine year girl that overcomes her disability and uses it for somethingextraordinary.Her love for nature changes her life and it becomesmeaningful and purposeful for her. Her disability is no longer ahindrance or something to be ashamed of. Gigi Sedlmayer haswoven a tapestry of beauty, harmony and excitement in her fabulousstory. It is filled with intrigue and even some suspense. I loved it and couldn't put it down and read it late into the night to find out whatwould happen next. It brought a feeling of serenity to my soul. I lovedthe tale of the giant magnificent condors,coupled with the humaninteraction. It is just a beautiful story that adults and children willboth enjoy. It will be fully entertaining for the entire family. I believe that Talon, Come Fly with Me should be a reading requirement in schools. It is full of emotion andlove with important messages throughout. The exemplary descriptivewriting had me on the beautiful scene watching on as the story unfolded. Gigi Sedlmayer is an excellent writer with a unique voice. Thisstory is original, genuine and compelling. 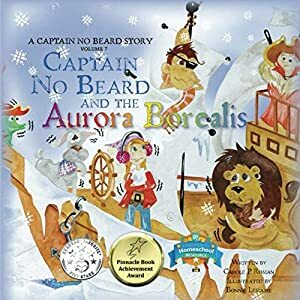 Artisan Book Reviews highlyrecommends it to all readers. It is a page-turner and a must readmagical tale for everyone that likes clean, thoughtful and excitingreads about animals and extraordinary people. An artifact gone missing. A jungle full of clues. Can one cat detective save a national treasure? Inca the Siberian Kitty can’t wait to add Sri Lanka to the list of places she’s explored. But before her paws touch the sandy beaches, she learns a local museum needs her crime-solving skills to track down a stolen ancient sword. With her trusty diary in tow, Inca leaps whisker-first down a trail of clues that leads her deep into the wild jungle. After getting a little help from a baby elephant and her not-so-distant leopard cousins, she learns about the country’s rich history and just how important it is to restore the sword to its rightful place. With her furry family and new friends by her side, Inca can feel she’s close to getting her claws on the sword… but it’ll take teamwork to save a priceless piece of history. 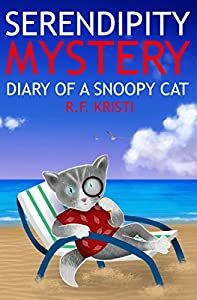 Serendipity Mystery is the 7th standalone children’s book in the Diary of a Snoopy Cat series, which is purrfect for kids ages 7-12. If you and your child like new cultural experiences, animal detectives, and tales of teamwork, then you’ll love R.F. Kristi’s globetrotting adventures. Ten-year-old twins Jemima and Joe Lancelot continue the search for their missing parents who are trapped somewhere in the past. 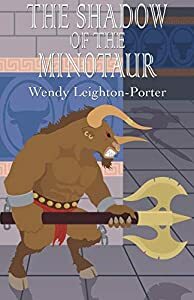 Together with best friend Charlie, and their talking cat Max, they are transported back in time to ancient Crete and the Palace of Knossos, where the fearsome Minotaur lurks in its labyrinth, feeding on human flesh. Can they help Prince Theseus of Athens destroy the terrifying monster before it devours them all? And will the children survive the storm that threatens to wreck their ship as they attempt to flee the island? Ten-year-old twins Jemima and Joe Lancelot have no idea why their parents have disappeared, but a mysterious old book belonging to their father holds the answer … and so begins a quest to uncover the truth. 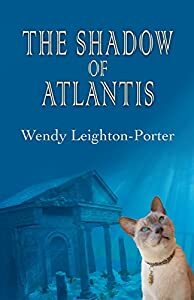 Together with Max their Tonkinese cat, and Charlie from next door, the children embark on an epic adventure, travelling back in time to the lost city of Atlantis, unaware of the dangers that await them. When Curious Boy lets his curiosity get the better of him, it takes him on a strange adventure that does not end up at all as one might guess. With great respect for the inimitable style of Dr. Seuss, Kyle Morey takes readers on a wild ride, complete with a purple gorilla and…but that would be telling. 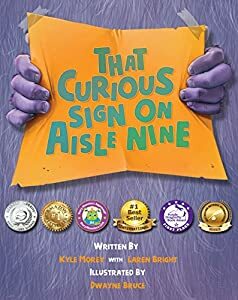 Winner of the coveted Purple Dragonfly Book Award and Reader's Favorite Award, That Curious Sign on Aisle Nine is fun for kids to read and maybe even more fun for parents to read to their children. Whimsically illustrated by Dwayne Bruce, it’s a “read again and again” kind of book. That Curious Sign on Aisle Nine is Story Monster Approved! 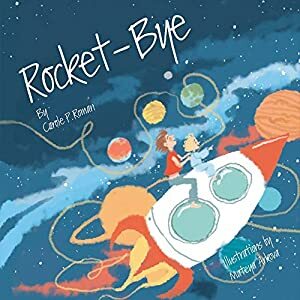 Rocket-Bye is a sweet kiss goodnight from Carole P. Roman to her grandchildren. Written in verse, it is an imaginary trip to the stars and planets with Mateya Arkova's colorful and winsome illustrations. Anyone would love to read about this trip into space where you can dance on the rings of Saturn and aim right for the heart of Pluto. Only a short time after a strange nightmare about Bluerorcs (what the heck are they?) Will again feels like he is caught in a dream—but this time the best dream he has ever had. For Mr Chevalier visits him at his parents' house to invite him to join the White Christmas Organisation—the secret organisation that handles the production and delivery of the Christmas presents and that is headed by Father Christmas himself. Will had always been a firm believer in the magic of Christmas and now he is on his way to be part of it all as he begins his job training at Snowfields. 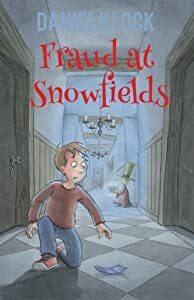 And—while traveling with the amazing cloud-based delivery system—he has no idea what other wonders he is going to see or what he is getting himself into... For just as he is having the time of his life with his new friends at his new school with amazing subjects as well as hard hands-on training, he is caught up in the biggest conspiracy Snowfields has seen in decades. ---- B.R.A.G. Medallion Honoree: This tells a reader that this book is well worth their time and money!